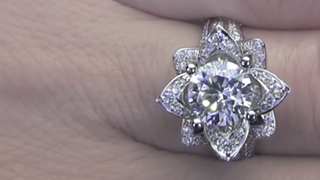 Looking from the center of the shank, on both sides two distinct rows of diamonds begin. 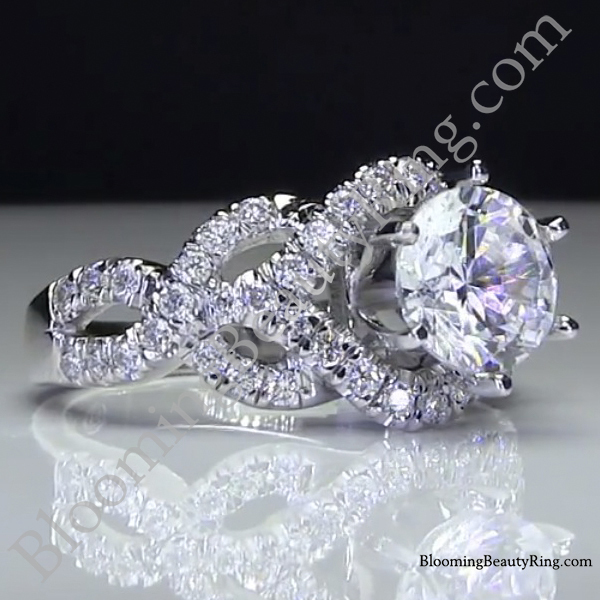 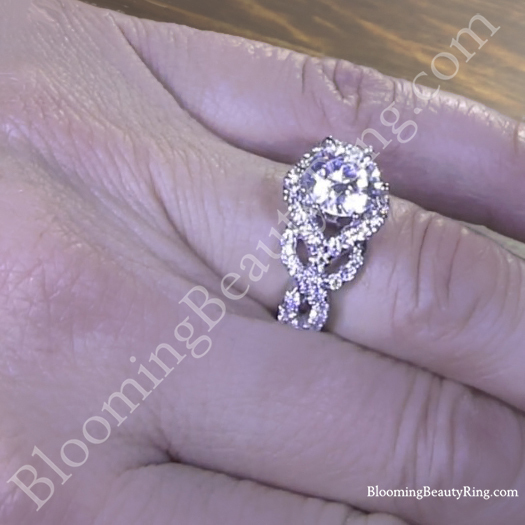 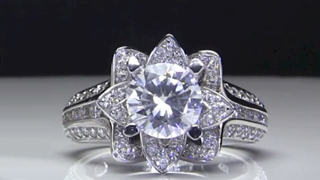 In the end they create a beautiful pave set diamond path forming a knot and split pattern moving up to a crossover surrounding the 6 prong center diamond mounting. 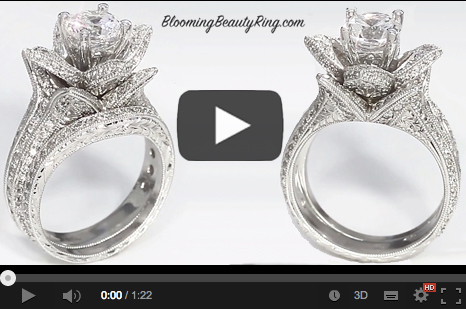 Watch the videos above. 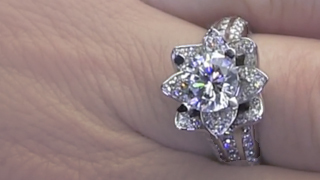 The pictures do not do this ring justice. 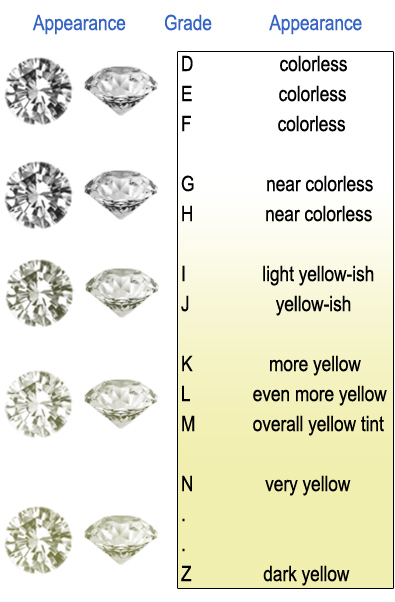 All diamonds are a bright white G-H in color. 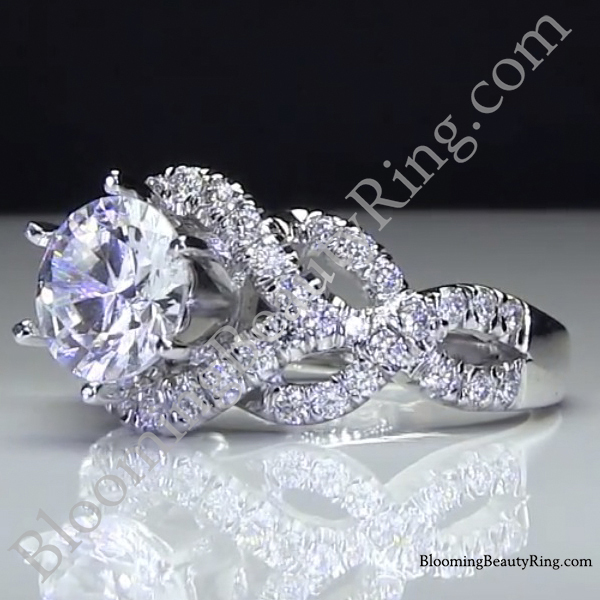 100% eye clean VS2-SI1 clarity, and cut with the utmost professional care to give amazing brilliance and sparkle with every turn of the ring. 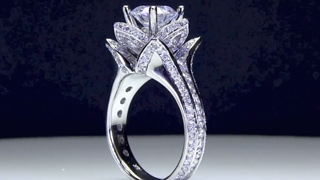 Available in 14K and 18K white, yellow and rose gold, Palladium or Platinum. 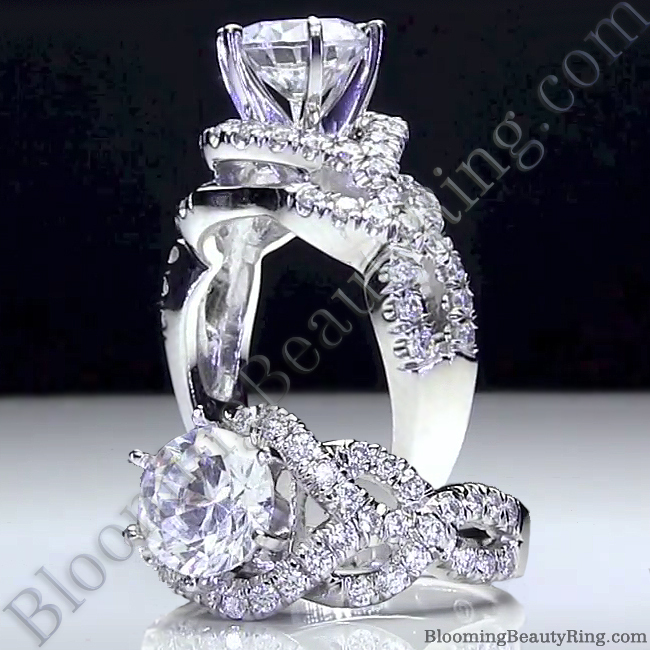 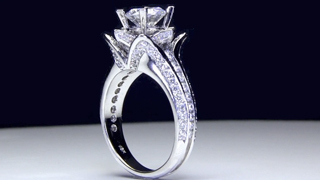 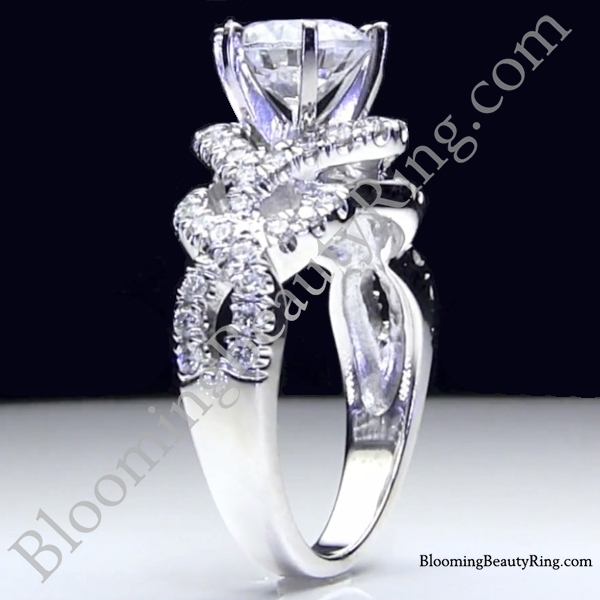 Setting does not include a center diamond. 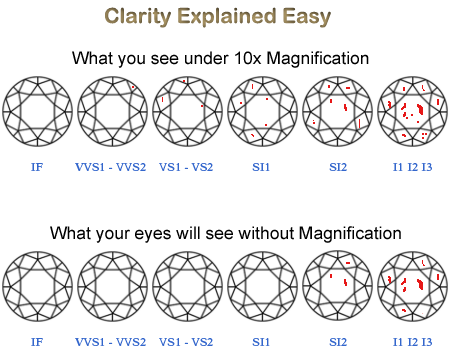 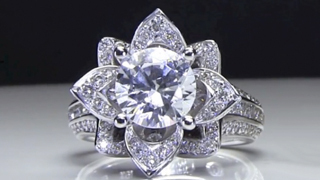 Min / Max possible size of a center diamond: Any Size Ring Box: You will receive a beautiful ring box with your order.